Smart lock manufacturer, August announced the new hardware and its entry into Z-Wave Alliance. 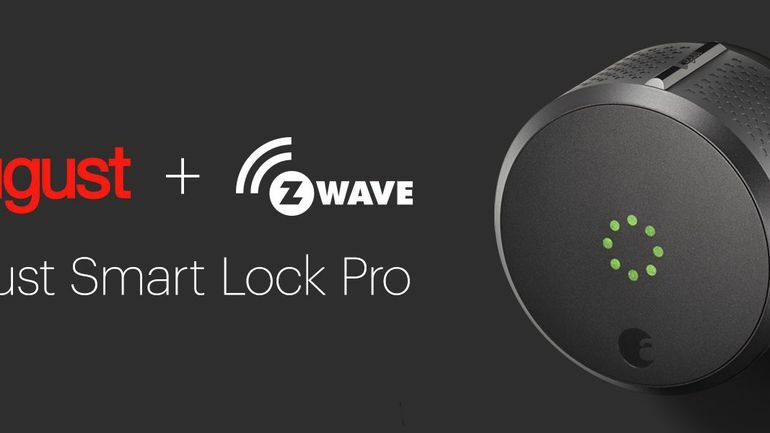 The Smart Lock Pro is the company’s first to support the Z-Wave standard. This lock is geared toward the professional market rather than do-it-yourselfers. The August Smart Lock Pro will be available later this fall, but Sorry, you can not buy this Smart lock because it is only available through August’s security distribution partners. Z-Wave is the top wireless home control tech in the market, with over 1700 certified interoperable products globally. Moreover, the company is also looking to team up with the Zigbee Alliance, and other standards’ organizations that support the professional channel. The Smart lock Pro is similar to the August Smart Lock in that it uses the similar architecture of the original, but the new feature of being Z-Wave compatible makes this smart lock particularly useful. But this alliance will now enable the August Smart Lock Pro (Z-Wave) to communicate wirelessly to security and home automation systems. which means it can be fully integrated into a complete smart home solution. The August Smart Lock Pro (Z-Wave) is slated to reach August’s list of approved dealers later this fall. We will update you as soon as we get more information. August did tell us the lock should be roughly comparable to its $229.99. Aside from the consumer model and upcoming August Smart Lock Pro, August introduced a new mortise style model for modern buildings earlier the year.